Messenger photo by Britt Kudla Megan Askelsen of Clarion-Goldfield/Dows bumps the ball during the regular season. CEDAR RAPIDS — Katrina TerHark made a decision last year that helped push the Clarion-Goldfield/Dows volleyball team to the state tournament this season. The Cowgirls (27-8 overall) will take on top-seeded and No. 1 ranked Carroll Kuemper (42-1) here on Wednesday in the Class 3A quarterfinals at the U.S. Cellular Center. Action begins at noon on Court 1. While some might be intimidated by playing a top-rated opponent, the schedule Clarion-Goldfield/Dows faced this past fall has prepared them for just that. 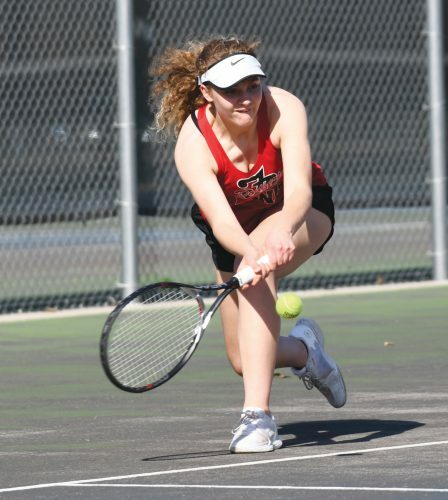 During the regular season, the Cowgirls faced off against fellow state qualifiers Cedar Falls (No. 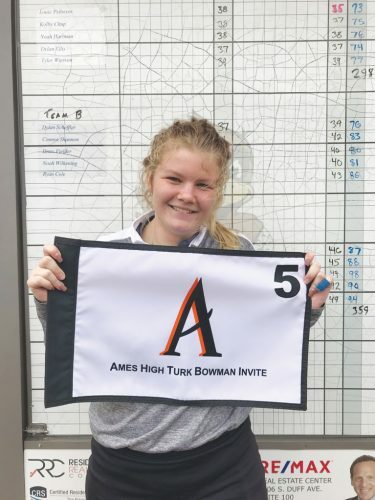 1, 5A), Ankeny (No. 6, 5A), Osage (No. 6, 3A) and Dike-New Hartford (No. 6, 2A). This is the first appearance at state for the school since 1998, when they were coached by Shelly TerHark — the current Algona head coach and a sister-in-law to Katrina. Clarion-Goldfield/Dows finished tied with Humboldt and Iowa Falls-Alden for the North Central Conference title. They have won six matches in a row and 13 of the last 15 overall. 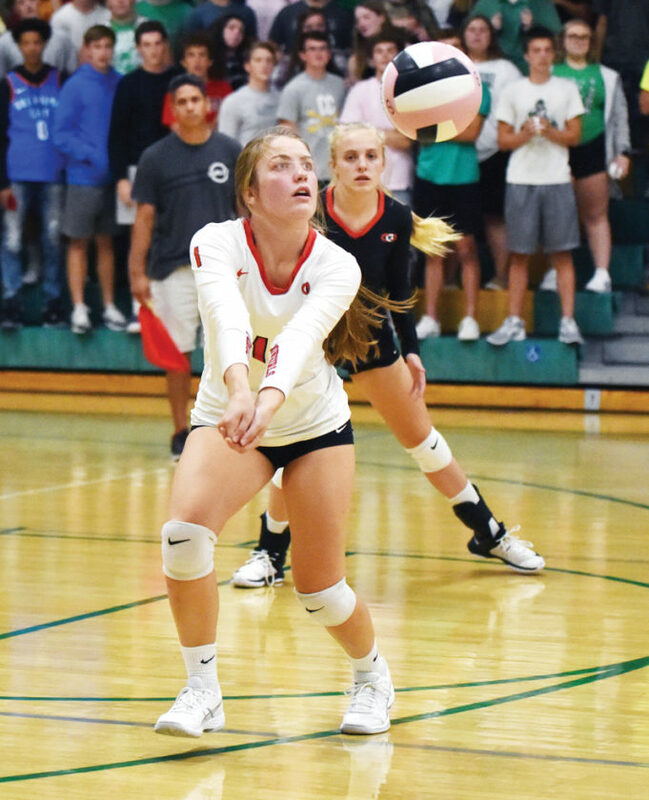 A five-set loss to the Wildcats in late September kept C-G/D from claiming the crown outright, but in the end, it was what TerHark called a “blessing in disguise,” as her team stayed alive with a five-set regional win over the Cadets. Morgan Middleton, one of a handful of sophomores in the rotation, leads the way with 427 kills. She also has 37 aces, 153 digs and 33 total blocks. Emily Kapka, a senior, has has a team-high 46 blocks with 10th-grader Alaina Freisleben leading in assists (756) and 12th-grader Megan Askelsen tops in digs (276), with Jadyn Jondle right behind (217). Haley Nerem is second with 153 kills, while Kapka has 98 and Vanessa Kolb 97. Both Nerem and Kolb are seniors for the Cowgirls. Freisleben, Madison Kubly, Kendall Lienamann and Jondle all have at least 32 kills on the season. Kuemper has reached state each of the past three years, advancing to the semifinals before falling in all three trips. The other 3A matchups pit fourth-rated Davenport Assumption (31-5) vs. Osage (29-6), second-ranked Tipton (37-3) vs. No. 13 New Hampton (36-5) and third-rated MOC-Floyd Valley (28-7) vs. ninth-ranked Mount Vernon (27-15). Semifinals are Thursday at 2 p.m., with the championship match taking place Friday at 2:30 p.m.